Med. Base (E-26) Modern Style Screw-Together Keyless On/Off Lamp Socket w/satin black finish. 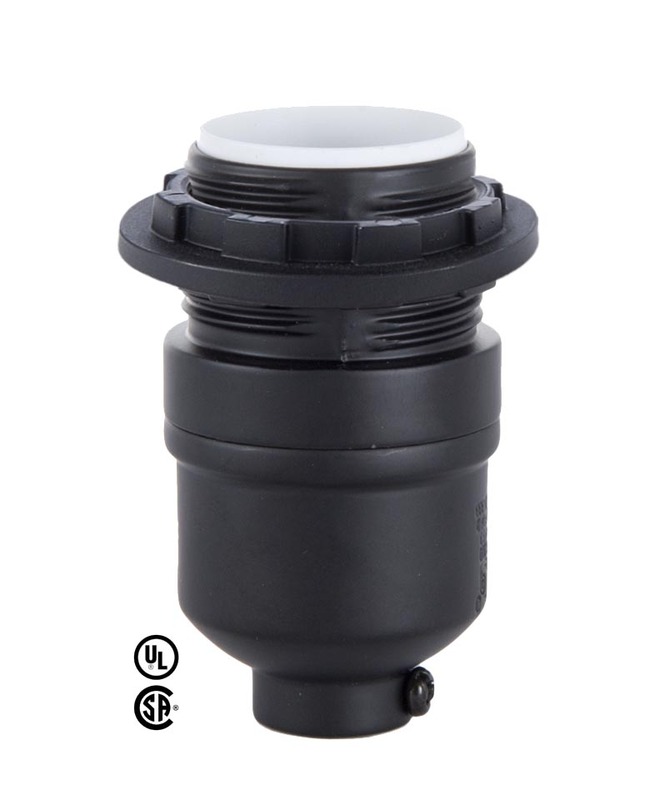 Unique styling and die cast aluminum shell & cap (w/set screw) make these sockets sturdy, economical, & dependable! 60 watt maximum in pendant application. With threaded shell & ring, 1/8 IPS Cap, 660W-250V. Will fit Neckless Pendant Glass using two rings. No reviews yet for the Modern Style Keyless Screw Together Socket With Ring.